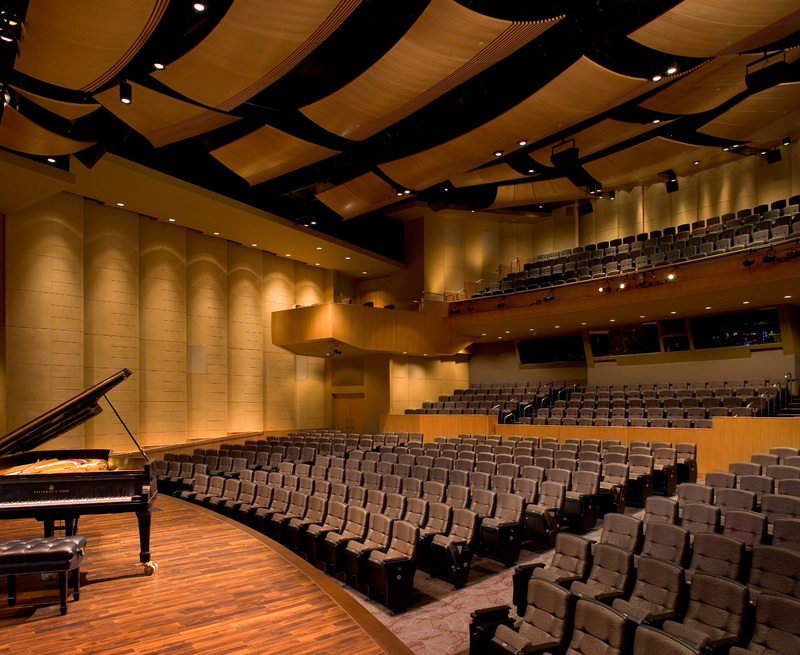 Situated within the corporate headquarters, the Building N Auditorium is a 534-seat multipurpose auditorium with symphony quality acoustics that supports a full 38-piece orchestra. 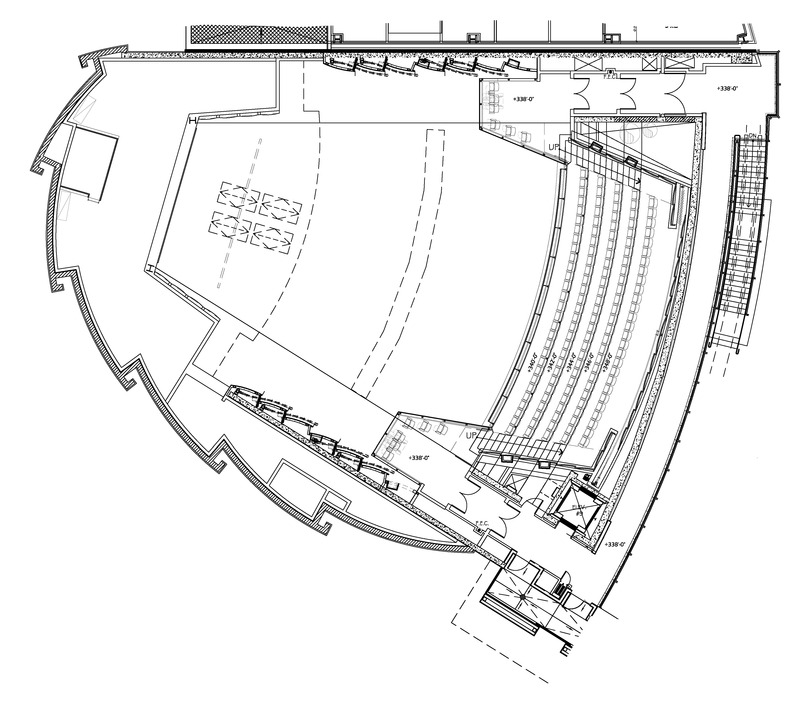 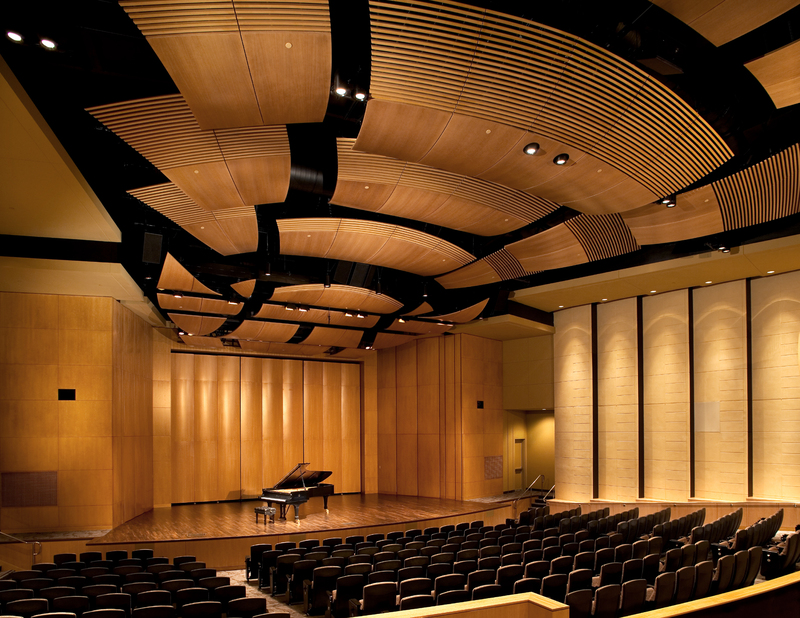 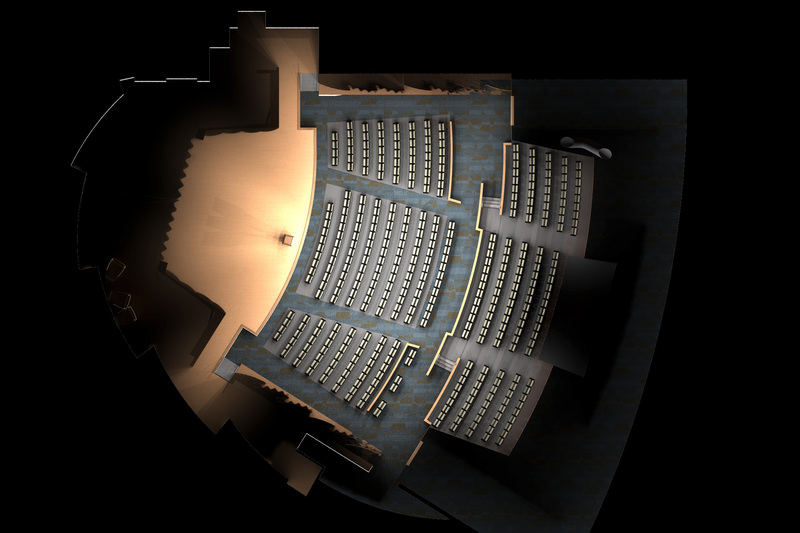 The three main functions of the auditorium are engineering lectures, digital cinema, and symphony/chamber music. 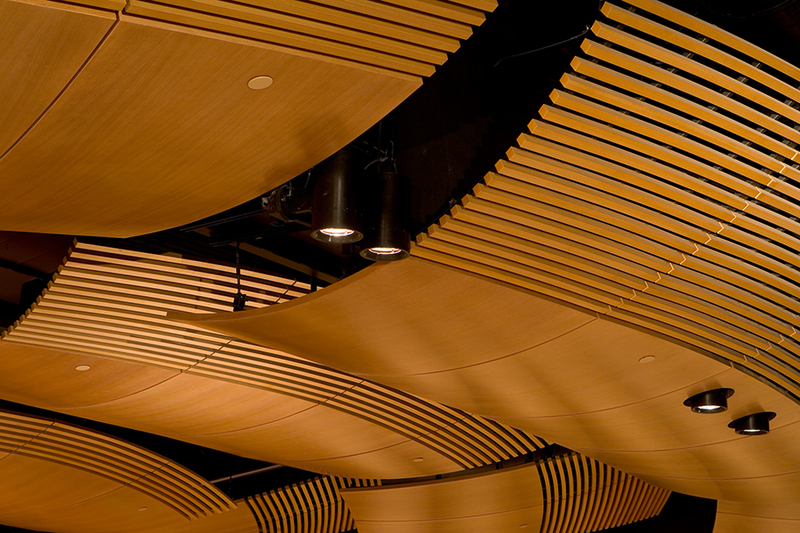 The facility incorporates variable acoustics with flown reflectors, movable shell towers, operable acoustic draperies, and carefully shaped wall and ceiling surfaces to accommodate the various acoustical and functional uses of the space. 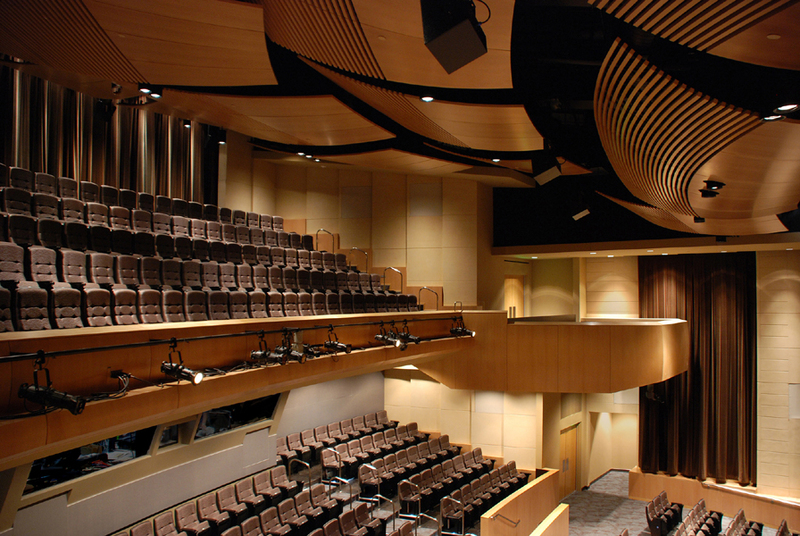 Three levels of seating in sloped and tiered configurations are used to achieve excellent sight lines and acoustics for the entire audience.